Amelia Fortune, a twenty-four year old widow, is unjustly convicted of wrongful death of her husband, Tommy. After the verdict, she's viciously beaten in county jail. 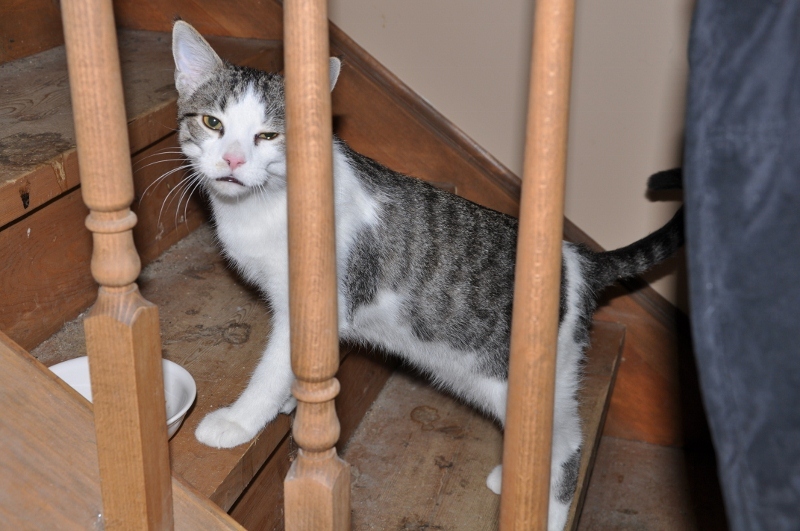 The ADA offers her a plea deal. The catch? Amelia must trade what she values most in life, her integrity, and confess to being responsible for Tommy's death. In exchange, she escapes prison, and will be placed in a 12-step program for people like her. 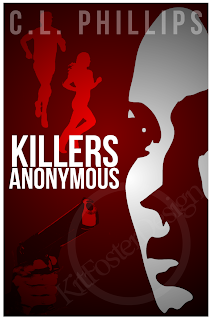 Killers Anonymous. Seven years. A convicted felon. Against her better judgment, Amelia swallows her pride, and takes the deal. She trades truth for safety. At her second 12-step meeting, she learns a serial killer is stalking members of the 12-step program. When the medical director of the program, Dr. Barton Ponder, thwarts her escape attempt, Amelia realizes her only choice is to find the killer before she becomes the next victim. 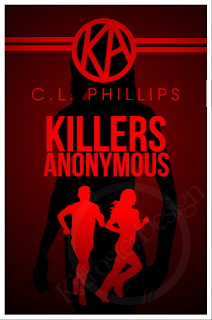 Killers Anonymous. Where nobody is innocent. Will Amelia do whatever it takes to survive? Now that you know a little about the story, please help me choose the cover art. 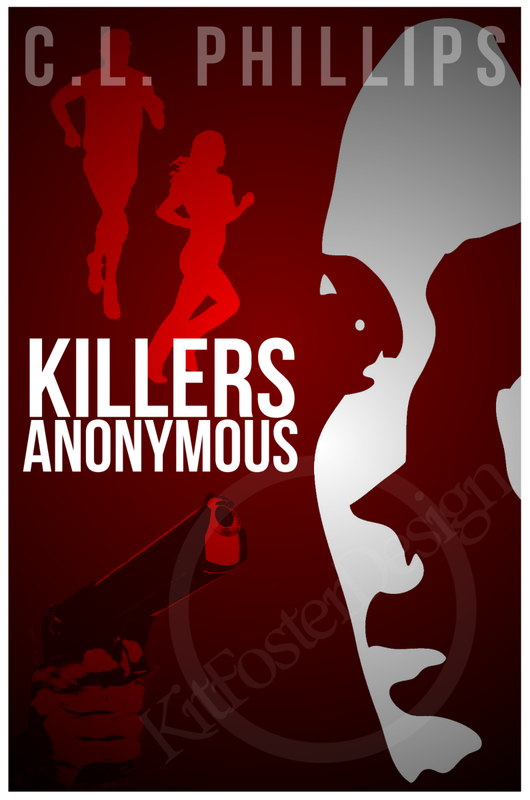 Killers Anonymous will be available in Summer 2012 from Amyst Books as an e-book, available at all your favorite places such as Amazon, Smashwords, B&N, and of course, through my web site. And if you'd like to be on my mailing list to receive a sneak peak and learn more about Amelia's journey, send me a direct tweet at www.twitter.com/clphillips787, and I'll put you on my dear readers list. Your cover choices are : Silhouette or Face. Don't be shy. Pick your favorite. And thank you for your support. I really appreciate your help. As those of you who have been reading posts for the past few days know, Working Stiffs is drawing to an end. Ahem. OK. I'm back now. I've enjoyed participating. As a writing exercise, it's good to have something due periodically, a reminder that yes, it is possible write, even when the muse hasn't wandered in to strike a mood. Most of my posts have been personal stream of consciousness essays, discussing my past and present. I guess it's now time to think of the future . . . Seems to go with the mood. In the film, these characters (Dev and Maya) have had an affair which they finally confess to their respective spouses. The spouses do not take it well; both Dev and Maya are thrown out but, each thinking that the other has made peace at home, they go their separate ways, into loneliness . . .
OK. Losing this blog won't be that bad. I hope. It’s been a couple of years since I began my monthly guest spot here at the Working Stiffs. In preparation for this, my last post, I looked back at subjects I’ve touched upon in prior posts. Some were writing related; some were inspired by news events; some poked gentle fun at my family. Several were on the serious side, and I appreciate having a forum to write about difficult topics like wife killers, cop killers, tree killers, and pedophiles. I don’t usually go to such dark places, but here I had the freedom to push the envelope and test both the audience and my own writing mettle. I thank you for that. In that vein, I want to write about another sensitive topic: Writers as Artists. It was a good question because it encompassed all possible answers: I paint, I write stories, I compose music, I make prints, I write poetry, I sculpt. The person who answered the question that particular time said, "I write." Some people don’t think of writers as artists. Some writers are among those who don't think writers are artists. If you think this, you are wrong. To make art is to create something out of nothing, or to mold something into something else. The creation expresses an emotion, captures a moment, explores an idea, or shares a story. That is art. “Artist” is a scary word to some people, and I don’t just mean legislators who think supporting the arts is a big waste of taxpayer dollars. (Those people are wrong, too.) It saddens me when a writer tries to deny or shrug off the title, as if being an artist is too flighty or high-falutin’ or ambitious for someone who writes stories to entertain or to earn a living. Artists make us think. Artists make us feel. Artists make us wonder. Writers do all of this too, right? As the regulars here know, writing can a lonely business. It helps to have an online or in person community to support your creative spirit. I have been fortunate in having opportunities to work with young artists and to encourage them to understand that self-expression is important and necessary in our world. So with this, my last post here, I encourage each person reading to think about the next generation. If it is within your power to influence the artists in our future, whether by visiting a school, reading at a library, helping a young writers club, volunteering at a prison, or any other donation of your time and experience, I hope you will do so. You will be rewarded tenfold. Art will never go away. You can cut the funding but you can’t stop the creation. As long as people have minds and hearts, they will seek expression. It has been a great pleasure to post here. I wish you all the best of all things. Back in 2006, a handful of Pittsburgh Sisters in Crime members decided to jump on the blogging bandwagon. Although we were all writers, we decided we didn't want to write about writing. There were too many other blogs that did that. What would we write about? We tossed it around awhile and finally came to a consensus with our theme: Where writers talk about life, work, and murder. In the beginning, we wrote about some of the jobs we'd had. Gina beat us all with this one--especially me. We wrote about life in general, about crimes, about books--you name it. I wrote about the police department where I worked as a secretary. It turned out each of us had a little niche--a little area of expertise that we'd impart to our readers five days a week. Our readership kept growing until a year or so ago. With the popularity of social media like Facebook and Twitter, group blogs like ours have lost readers. So, like the fabulous Lipstick Chronicles did not long ago, we're closing our doors, shutting up shop, saying hasta la vista baby, taking the A train...well, you get the idea. As of the end of March, Working Stiffs will be just a memory. We'll keep the site online so you'll still have access to our archives, but it will be closed to comments. You'll still be able to find most of us either on Facebook or Twitter (or both). Some of us have websites and blogs, or contribute to other group blogs. Thank you to all our readers and especially all the fantastic guest bloggers who've stopped by to visit. We love you all! As we say our goodbyes, we'll be sure to let you know where to find us. You can find me most days on Twitter: twitter.com/JoyceTremel. I have a website too (which really needs to be updated!) www.joycetremel.com. Every year around this time, certain members of my family take a vacation. I won’t say where because it’ll make me sound jealous. Which I am. But that’s not the point. They go on vacation and I kittysit their cats. I happen to be quite fond of these cats, so I don’t mind a bit. Usually, “kittysitting” involves driving over there every other day, cleaning litter boxes, refilling the food bowls, and changing their water. Then I play with them for a while. This year hasn’t worked out that way. 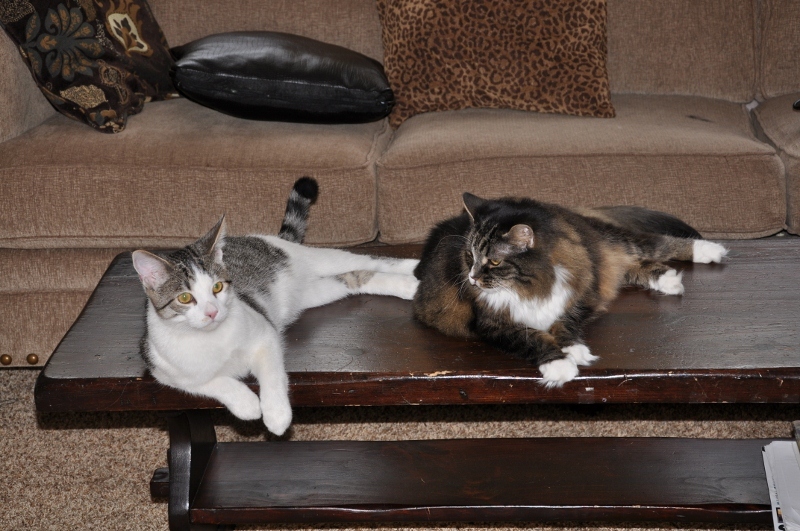 Shortly before they left, they noticed that one of the cats had been peeing on the carpet in one corner. They told me it was Pepper, the newer cat. They pulled up the carpet in the corner and put down plastic. Pepper was to be confined to the basement, while Chili, the older cat, would have the run of the upstairs, including the scene of the crime. On Day One of my kittysitting gig, I discovered a puddle on the plastic. Apparently, Pepper had been falsely accused and convicted on circumstantial evidence. I could do a Bounty commercial about the absorbency of those paper towels. But I don’t think they’d want to show someone mopping up cat pee. 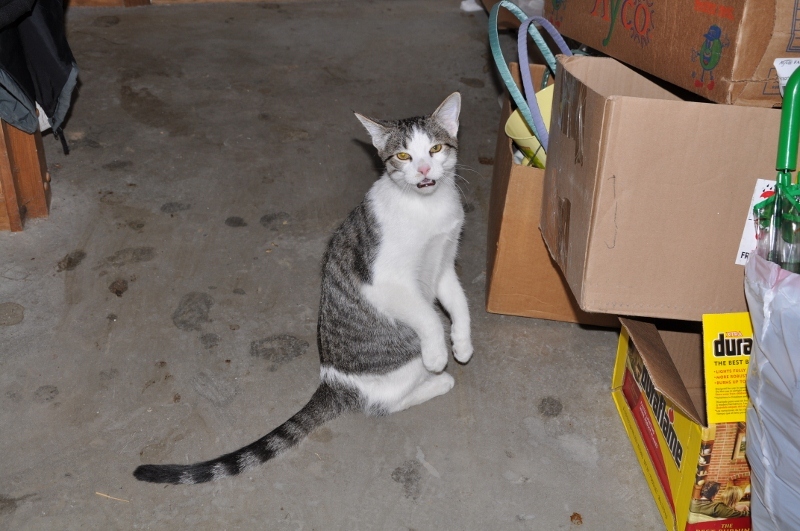 Anyway, anytime a cat suddenly starts urinating outside the box, my first thought is Urinary Tract Infection. But I’m not a vet. I only write about one. Instead of every other day, I started driving out there daily to check on things. And to keep the puddle from overflowing onto the carpet again. By Day Two, Chili was also pooping on the rug. 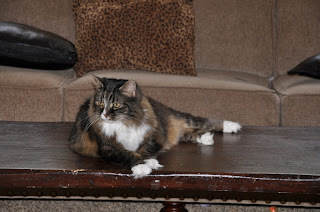 Her litter box remained untouched. I filled a plastic specimen cup from the puddle on the plastic and ran it out to the vet. Diagnosis? Urinary Tract Infection. I guess a gazillion years as a cat owner combined with all the research I’ve done to write my veterinarian protagonist has paid off. The vet gave me Clavamox liquid to be administered twice a day. Did I mention this is a 20-mile each-way jaunt? So I’ve enlisted some help. Hubby’s new(est) job—don’t ask—is nearby, so I’ve trained him how to give oral meds to cats. You can just imagine how happy he is. (Not). 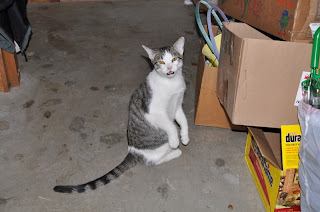 Since he’s completely overjoyed at the prospect (again—NOT), a neighbor has been called in to give the evening dose, while I take care of the morning dose…and the litter boxes and the food and the water. Speaking of litter boxes, I moved the one that hadn’t been touched over to where Chili had been pooping. Voila! She’s now back to using it for BOTH. No more puddles on the plastic. Which is a good thing. I think I’ve gone through an entire roll of Bounty. Monday, I took Chili in to see her vet. The good doctor praised my handling of the situation and basically told me to keep it up. I think I missed my calling. 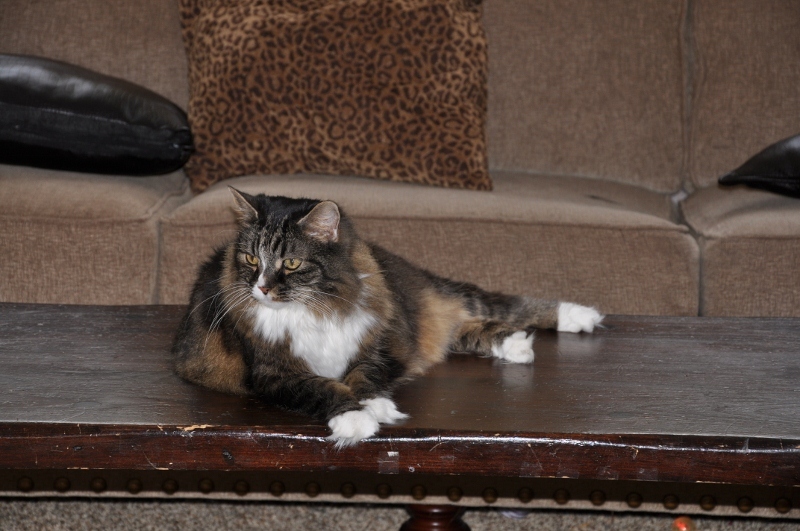 At the very least, if this writing gig falls apart, I can always start a new career as a crittersitter. Or a defense attorney for cats. Callista Newton, the blonde, perky real estate agent, hit the sign with the flat edge of her shovel and stepped back to inspect her handiwork. She took great pride in her effort. The for sale sign was perfectly positioned on the corner lot, visible from either of the busy cross-streets. A black Land Rover wheeled into the circle drive, and a thin young woman, dressed in all black, exited the driver's seat, cell phone in hand. "I'm hanging up now. We will settle this later." She strode to the front door. Callista took a deep breath and forced herself to wait. "Just a moment. Go ahead and take a look. The door is open." She balanced the shovel in her left hand and watched as the woman entered the house. She signed. Selling houses wasn't as fun as it used to be, not since the recession gutted the market and banks made getting a loan nearly impossible. Still, she prided herself on her professionalism and attention to detail. She put the shovel in the trunk of her car, grabbed her jacket and went inside. "Is this the buyer's disclosure? ", asked the woman. "Yes, and in the folder, you'll find copies of all the inspections and receipts from the recent repairs." Callista smiled and sized up her prospect. No buyer's agent. No spouse. Only a cell phone. "Do you have any questions?" "Only one. Can we close within two weeks?" "Good. My lawyer will send you the contract." The young woman reached out her hand. "Thank you." Callista placed her business card inside the kitchen drawer by the stove. On the back, she wrote, "Call me when she tells you to sell." She underlined the word she. Four hours later, Callista called her seller. "Yes, I have the contract." She listened. "I told you we could do it. All you needed to do was take my advice." She smiled. Ever since the recession, she'd had plenty of time to listen to her police scanner. Good thing she read Section 5.008(c) in the Texas Property Code. The seller has no need to disclose a prior murder or suicide unless it materially impacted the real estate. Callista smiled. Every agent needs a speciality, and she loved hers. This idea struck me the other day. I can’t really say why, other than that someone – on Twitter, where else? – was talking about Martha Washington, and my mind made some sort of strange connection wherein I started thinking about what kind of sleuth Martha might make. Using real people as fictitious detectives isn’t anything new, of course. From Amadeus Mozart to Elvis Presley and the entire Rat Pack (Frank Sinatra, Dean Martin, Sammy Davis Jr., etc.) the artistic element is well represented in fiction, as is the political sphere, including both Theodore and Eleanor Roosevelt, at different times and in different series. My personal favorite might be Lizzie Borden, solving crimes thirty years after being acquitted of murder. As far as writers go, they’re the most heavily represented, of course. There are mysteries out there featuring Mark Twain and Daphne de Maurier, Louisa May Alcott and Beatrix Potter, Edgar Allen Poe and Arthur Conan Doyle, not to mention Geoffrey Chaucer, Jane Austen, Charlotte Brontë and Oscar Wilde, along with the entire Algonquin Round Table, headed by Dorothy Parker. If you go HERE, you can see a long list of real people used as fictional sleuths. It isn’t complete, but it’s pretty darned good. One name that isn’t on the list is Coco Chanel. I’ve decided that if I ever decide to write a series of mysteries with a real person in the lead – and don’t hold your breath – Coco will be my protagonist. Can’t you just see it? High fashion murders in Paris in the 1920s? So what about you, fellow Stiffs? 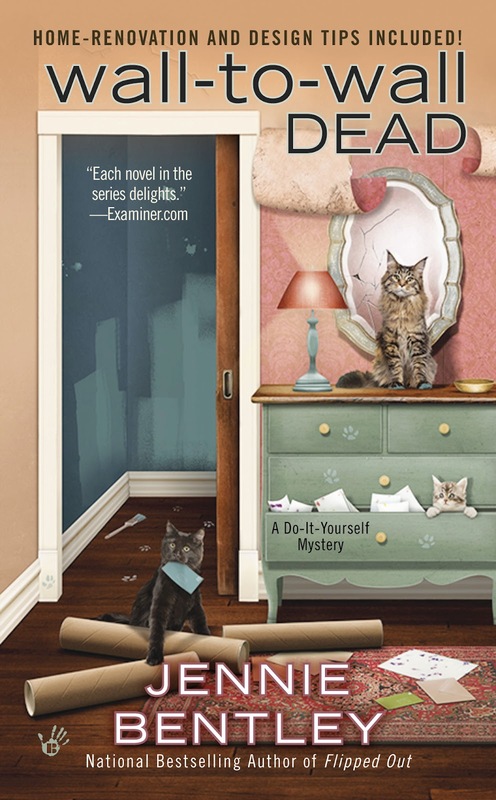 If you had to write a book with a real person solving crimes, who would you choose to write about? Or if not that, who would you choose to read about? Does anyone in particular come to mind? On a not at all related note, if you haven't already seen the cover for DIY-6, Wall to Wall Dead, here it is. The spooky shadow is missing, but I've put out a call. I have hopes that one might be added. We'll see. At any rate, Wall to Wall Dead will be released September 4th, and will feature Avery Baker and Derek Ellis, who are both as fictitious as they come.